The Cabled Zig Zag Bag is The MUST Have Textured Bag This Year! 2018 is THE year for beautiful and fun textured crochet designs! We started off with the Cabled Zig Zag Scarf and I'm THRILLED to show you the next design in this collection. The Cabled Zig Zag Bag is absolutely stunning in a solid neutral color. It can help you feel a little more put together whether you're out for a night on the town or need something elegant to carry your things in for your wedding day. Worked in an array of colors, you can also enjoy this bag for a casual outing with friends or use it as a project bag. No matter what you choose to use it for, you're sure to get compliments on your work! For this pattern, I chose to use Deborah Norville Everyday 4ww yarn. I love the softness and flexibility of this yarn. It is also Anti-Pilling which is a huge plus! 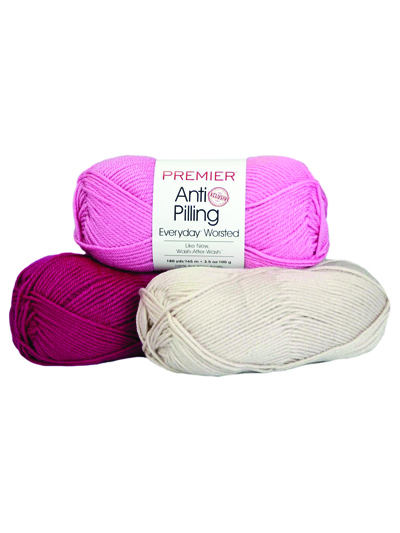 You could use other 4ww yarns just as well though your finished size may vary. If you're worried about working cables, don't fret! I've included many stitch placement photos to help you see where you need to work the stitches. If you learn better from videos, you can find the video tutorials HERE on my website. Receive 30% off your Cabled Zig Zag Bag crochet pattern now by clicking on THIS link now! Select "use this coupon" and complete the transaction. Be sure to add this pattern to your Favorites by clicking the heart in the top right corner of THIS page on Ravelry. I want to give a BIG Shout Out to the amazing ladies who tested the Cabled Zig Zag Bag crochet pattern for me! They did a beautiful job on their projects and were a tremendous help getting the pattern Just Right for everyone! ​So, Thank you Angela, Pamela, Kyla, Holly, Frankie and Sarah!